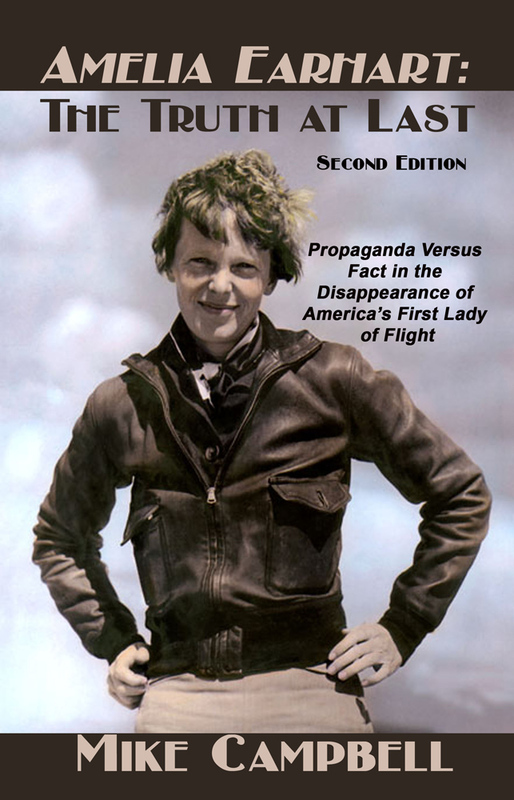 The Second Edition of Amelia Earhart: The Truth at Last adds two chapters, a new foreword, rarely seen photos, and the most recent discoveries and analysis to the mountain of overwhelming witness testimony and documentation presented in the first edition of Truth at Last. The result is the most compelling, comprehensive presentation of the indisputable facts that reveal the stark truth about the Marshall Islands and Saipan presence and deaths of Amelia Earhart and Fred Noonan – a tragic story that American’s ruling class still doesn’t want the public to know, for reasons revealed in Amelia Earhart: The Truth at Last. Amelia Earhart: The Truth at Last dismantles and debunks the popular theories that Amelia Earhart’s Electra crashed and sank off Howland Island on July 2, 1937, or landed at Gardner Island, now Nikumaroro, where the suddenly helpless fliers died of starvation on an island teeming with food sources. The Truth at Last presents many remarkable new findings, eyewitness accounts and never published revelations from unimpeachable sources including three famous U.S. flag officers and iconic newsman and Earhart researcher Fred Goerner’s files that reveal the truth about Amelia’s death on Saipan, as well as the sacred cow status of this matter within the U.S. government and media establishment. The Truth at Last answers the big questions about the disappearance of Amelia Earhart, leaves no doubt about what happened to the doomed fliers, and is destined to take its rightful place as the definitive Earhart work. 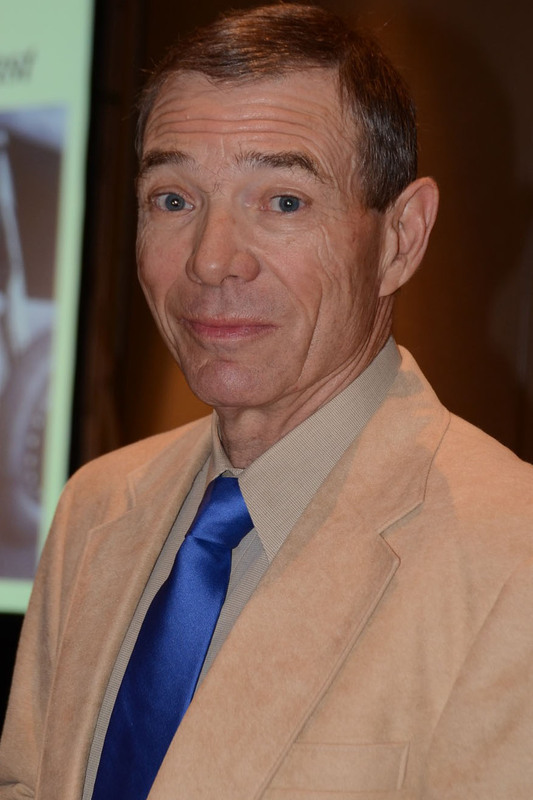 Mike Campbell spent nine years as an active-duty Navy print and broadcast journalist and 21 years as a Navy civilian writer and Air Force public affairs officer, retiring from federal service in 2008. Originally from College Park, Maryland, he is a 1974 graduate of the University of Maryland. After meeting Thomas E. Devine, author of EYEWITNESS: The Amelia Earhart Incident in 1988, Campbell became convinced that Devine, Fred Goerner, Paul Briand Jr., and other Earhart researchers were correct when they proclaimed the presence and death of Amelia Earhart and Fred Noonan on Saipan after their disappearance in July 1937. Fourteen years of collaboration with Devine producedWith Our Own Eyes: Eyewitnesses to the Final Days of Amelia Earhart, published in 2002 by a small Ohio company. His second book on the Earhart case, Amelia Earhart: The Truth at Last,published in June 2012, greatly expands upon the important eyewitness accounts of former American GIs who participated in the 1944 Battle of Saipan presented in With Our Own Eyes. According to Campbell, Truth at Last is the most focused, strident and compelling case for Earhart and Noonan’s Marshall Islands landing, followed by their deaths on Saipan ever written. In addition to bringing together all the significant eyewitness and other witness accounts gathered by a multitude of investigators for the first time, Truth at Last presents many new findings, testimony and analysis, as well as never-before-published information from the late Fred Goerner’s forgotten files that reveals the ongoing, institutionalized cover-up of the truth about Amelia’s fate at the highest levels of the U.S. government. Amelia Earhart:The Truth at Last, completely debunks both the anachronistic, 78-year-old Navy-Coast Guard verdicts that Amelia Earhart’s Electra, NR 16020, crashed and sank in the central Pacific off Howland Island on July 2, 1937, as well as the currently fashionable falsehood that the fliers landed on Nikumaroro in the Phoenix Islands, where they perished from starvation. He lives in north Jacksonville, Fla., with his wife, Nee and his cats.